Liverpool (AP) — The international break has put a bit of a damper on the 228th Merseyside Derby. Both Liverpool and Everton will have depleted squads for Saturday’s Premier League match because of injuries sustained by players while on international duty. 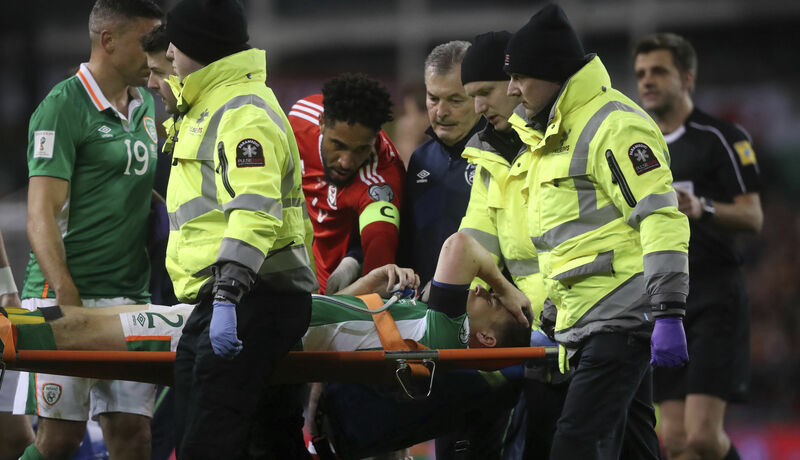 Everton defender Seamus Coleman broke his right leg playing for Ireland against Wales, while Liverpool midfielder Adam Lallana picked up a thigh injury on England duty and is expected to be out for a month. In addition to Coleman, who could be out for more than six months, Everton will also have to do without defender Ramiro Funes Mori and midfielder James McCarthy. Everton manager Ronald Koeman called it one of his “worst international breaks” for Everton, while Liverpool counterpart Juergen Klopp was frustrated about losing Lallana at a key point in the season. The German did not, however, blame England coach Gareth Southgate. “We both share players. I was not happy,” Klopp said. “Somebody said I was relaxed about it, I could not be less relaxed about this but it is not about blaming Gareth Southgate. It is the second time Lallana has returned from international duty injured this season. He damaged his groin in the draw with Spain in November and missed three Liverpool games. Koeman lashed out at Ireland’s management for their handling of McCarthy, saying it went against the advice of Everton’s medical team. McCarthy pulled up with a recurrence of a hamstring problem in the warm-up before the World Cup qualifier against Wales in Dublin. “James had an injury when he joined up and the Everton medical team notified them. Everton advised extreme caution,” Koeman said. “The assessment by Ireland was that it was a high-risk to play against Wales. James had a strong desire to play and said he was fit. Koeman was also not happy with his player, saying McCarthy needs to take responsibility for his actions. As well as Coleman, Funes Mori will miss the rest of the season after sustaining a knee injury playing for Argentina against Bolivia. He will have surgery next week. Everton have won seven of their last 10 Premier League matches but have not won at Liverpool since 1999. Liverpool, in fourth place and six points ahead of seventh-place Everton, are still without captain Jordan Henderson, who has apparently had a setback in his recovery from a foot injury.